Water heaters in Singapore are a common household item in the majority of the household. You would be hard-pressed to see a home in Singapore that does not have a storage water heater or Instant water heater. The ever-improving economy and innovation in technology has made water heaters to become more affordable. Water heaters in Singapore are important to the home in providing warm water for various activities. Once your water heater installation is not done properly, your water heater may begin to show signs of leaking and other signs that it would require repairs or even replacement of the whole device. Water heaters hardly have issues and when they do, it is usually as a result of poor installation or device wear and tear. When these issues arise, one of the most common sign is water heater leaking. 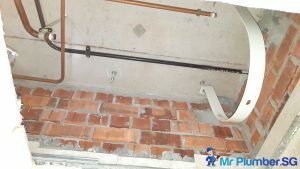 When you see this, then you need a reputable company like Mr Plumber Singapore to help with your water heater installation, replacement or repairs in Singapore. Before we dive into the topic about the different water heater services available, let’s find out more about water heaters. There are generally 2 types of water heater in Singapore, namely: Storage Heater Tanks and Instant Water Heater. 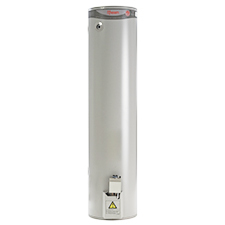 Storage water heaters – Storage water heaters are unique in the sense that it has a tank to store water to be heater up and then dispense when needed. Instant water heaters (a.k.a tankless water heaters) – Instant water heaters heats up water instantly and does not store water, unlike storage water heaters. These water heaters can be further categorised into other categories depending on what it is powered by. Electric Storage Water Heaters – Fuelled by electricity, these are the most common in most apartments in Singapore. Typically, in Landed properties or Condos, these water heaters have a tank wherein water is stored and heated to a set temperature. They are affordable and easy to maintain. They are however prone to leaks and high energy usage. Gas Storage heater – Gas storage heater heats the water in the tank by burning gas. Compared to electric storage heaters, gas water heaters are less common in Singapore and are mostly used in Landed home owners. It requires a constant supply of gas for it to function. 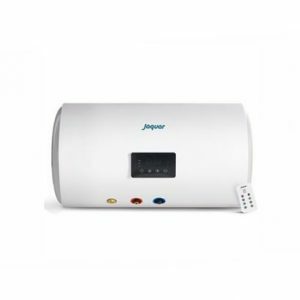 Digital storage heater – Powered by electricity, these high-end water heaters and a luxury item that can heat your water up to the temperature you desire with its thermostat panel. Although not as common as other water heaters, these are usually found within specialised industries and landed properties. 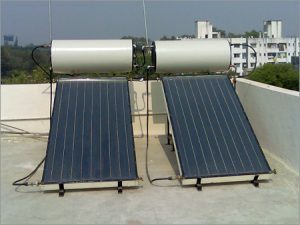 Solar storage heater – Equipped with solar panels that are usually placed at the roof of the house, it harnesses solar energy and converts it into heat energy to heat up the water in the tank. 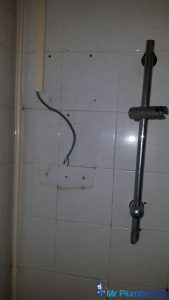 Also, among one of the rarer types of water heater to be found in households in Singapore. Heat pump storage heater – This water heater is also powered by electricity except that the heat is generated in another device before pumping it to the storage heater tank, thus the name implies. Electric tankless water heaters or Instant Water Heaters – These heat water when needed so they are more energy-efficient than storage water heaters. There are 2 types of such heater: Single point and multi-point. The main difference is the water passing through its ports, either a single point or multiple points. They also fit small spaces and maintain a constant stream of hot water without wasting energy. This makes it popular with HDB flat owners. Instant heaters mostly come with attached showerhead. 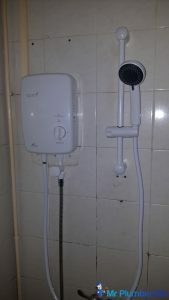 It can even come with different function which can control the flow of output for your shower experience. Depending on the model, you can even customise the showerhead to suit your preference. 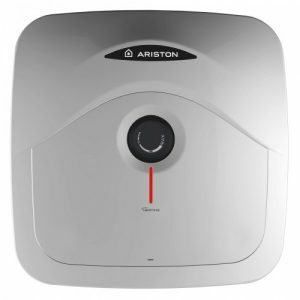 Digital instant heater – Similarly to digital storage heaters, this device heats up the water accurately, but in an almost instantaneous format. Like its counterpart, these are luxurious household items usually located in Condominiums. 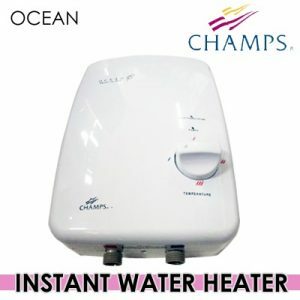 Gas instant heater – Heats up water with the use of gas. This gas instant heater is mostly used in the industry to heat up water instantly, although household use can still be seen. 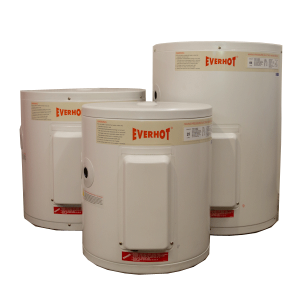 Water heaters can be placed anywhere around your home. 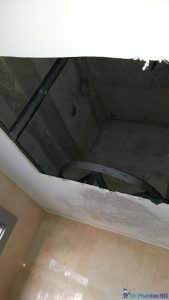 It is up to the home owner to decide where to install the water heater. However, bulky water heaters can only be installed in places with more space. Take water heater tanks for example, due to its big and bulky appearance, it needs to be installed in places like above the false ceiling, hidden in a cupboard or even remain exposed hanging above the water. As for instant water heaters, they are compact and can be installed almost anywhere near a water source and electric power point. If you need help on choosing which type of water heater to install, Find out more about the difference between Storage water heater and instant water heater. There are certain brands that sells better than the rest on the market. And these are the top performing brands: Ariston water heater Singapore, Joven water heater Singapore and Rheem water heater Singapore. With that mentioned, let us look into some of the brand’s popular products. Based on the data we collected from our sales, these are the top selling products of each brands, regardless of the water heater prices, the figures it shows on our end are competing to be either the best instant heater in Singapore or best storage heater in Singapore. If you are looking to install a new water heater into your household, do keep in mind of the following key points. 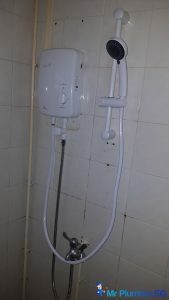 As explained above, there are many types of water heater with its unique capabilities. But you mainly have to decide between a storage water heater or instant water heater. As for the type of source to power your heater, you will have to decide base on your preferences and other aspects such as convenience and type of use. Consider which would be the ideal water heater for yourself and your family. Being wallet-conscious can be a dormant trait that most adults will have. So, it is of no surprise that you would want to look for the best value water heater to fit your budget. Storage heaters are generally cheaper to install compared to instant water heater. However, storage heater would be ideal for family usage. Depending on your place of residence, you may choose instant water heaters over storage water heaters. For example, if you live in a HDB flat, you will most likely go with an instant heater due to the fact that instant water heater is compact and use up less space than compared to a big and bulky storage heater tank. Energy consumption may be a factor that you want to keep in mind. If you are utility bill conscious, and has a budget set aside for it, you may want to consider using water heaters which are more energy efficiency, which means that it uses less energy for the same amount of output. On average, instant heaters have a lifespan of 10 – 15 years whereas storage heater tanks have a lifespan of 8 to 13 years. It is advised by our professional plumbers to get the instant heaters checked and maintained every 3 to 5 years and every 5 years for storage heater tanks. Different water heaters have different period of warranty. For instant heaters, the manufacture will usually provide 1-year warranty on parts, but it varies from brands. Storage heaters have a warranty period of 3 to 10 years for its part provided by the manufacturer, which also varies by brands. Like every other electronics and commodity, water heaters will encounter issues in the long run, and will need to repaired or even replaced. 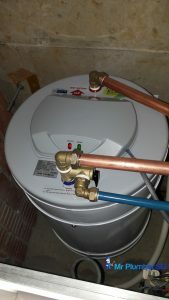 When it comes to water heater repairs in Singapore, there are a few common problems experienced by home-owners first-hand. When it comes to water heater problems, we will classify them into storage heater problems and instant heater problem too. Often times, these issues may be confused with misconceptions or myths, especially with Instant heaters. When heater water is stored for a short amount of time without being used, about 40% to 60% of the heat energy can be lost. This can happen when the owner does not use the heater after it is heated but chooses to use it after a while. A storage heater takes up a high amount of energy to heat up the entire tank before use. It can be even higher to keep the water heated overnight for morning use. Storage heater may not provide the ideal temperature you want, which can be a case if the storage heater is improperly sized for you home. This issue is more common in automatic storage heater tanks. With time, the heat sensor may dull causing the temperature to fluctuate, which will lead to the water not being heated to a satisfactory extent. The initial outflow from the water heater may not be heated as it takes sometime for the water to be heated through the pathway, unlike storage heater which provides consistent heated water due to pre-heating. If the temperature is set too high and the output valve is set in a way that allows only limited amount of water to pass through, this may lead to water being heated to a very high temperature flowing out. Noise could be heard if the water heater has been around for some time. Constant heating of the water will cause wear and tear, which could be a sign for a need of replacement. As mentioned above, as time flows by, the instant heater is more prone to experience leakage, which may be caused by pressure, corrosion or even overheating of the instant heater. These are just some factors that may contribute to the leakage, there are also other causes of leakages which are often dealt with in another way. Water discolouration can occur when the heating rod within the water heater becomes corroded. It is important to keep in mind that although water heater may develop problem in its later year, we can still take precaution to ensure that the issues would not affect the safety of our household. If the household has kids, be sure to set the temperature to a lower amount so as to prevent any accidents. Always educate the children to ensure proper water heater usage. In order to avoid some of the issues mentioned above, it is vital to look out for key areas during the water heater installation. However, proper maintenance should not be overlooked as it can prolong a water heater’s life and deter any possible issues in the near future. The anode rods are made of aluminium or magnesium surrounding a steel wire. It acts as a protective agent that prevents the water heater tank from rusting. The anode rods should be inspected on a regular basis. If it is discovered that it is rusting or the steel wire is exposed, then the anode rod is due for changed. Frequent usage of the water heater will hasten this process; thus, it is advised to have an inspection done yearly or every half a year. Dip tubes are the flexible piping that directs cold water into the water heater for it to be heated up. Not every water heater may have them as some may be directed by other types of tubes. It is also prone to corrosion along the way, so it is would be good to get a technician to conduct a check on the tube every 6 months. It is recommended to flush the water heater every year so as to wash out any sedimentation that could be in the water heater. Flushing with disinfectant will also prevent bacteria that may be in the tank from developing and multiplying. Draining is more related to storage heater tanks. The storage heater tank should be drained when there is a prolonged period of non-usage. This is to prevent any harmful bacteria from developing inside the tank, which may cause corrosion and health hazards. These inlet piping are not exactly part of the water heater, but it is essential to supplying water to the water heater, and should be inspected for any wear and tear, and leakage so that the water heater can function optimally without any hiccup. 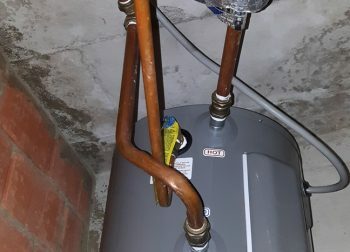 The Temperature and Pressure valve is found on a storage water heater. This valve is a mandatory valve required by legislation to be installed on the storage tank. Its main purpose is to protect the water heater from excess pressure and temperature by allowing it to discharge the excess when it begins to go over the limitations. 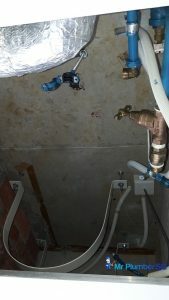 If there are constant dripping from the TP valve, it may be loose and would need to be replaced. Proper insulation of the water heater or the piping can ensure that the heat transfer can be done smoothly through the water, and prevents the heat from escaping along the way. This will translate into prolonging the longevity of the water heater. It is recommended to get a plumber to do an inspection of water heater and do the necessary maintenance to prolong the water heater’s life span. Do note that the advisable period would be every 5 years or earlier. 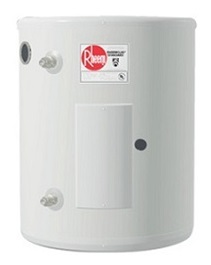 Installing a new water heater can be tough, especially if you want to install a large water heater tank. 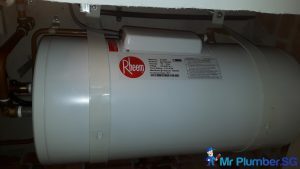 Here at Mr Plumber, we have plumber available to supply and install water heater for you. Be it storage water heater or even instant water heater, it is a clinch for our plumbers. We will assist you to select the optimal water heater for you that works best for your home or apartment. 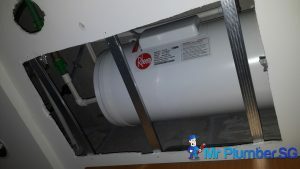 Similar to installation, if you have an old water heater that needs to be replaced, Mr Plumber is able to supply the water heater, and help you removed the old water heater along with installing the new water heater. Water heaters are complex devices, and when it breaks down, it can be a headache to consider replacing it or repairing. Rest assured, finding water heater repair in Singapore has never been easier. Mr Plumber are trained to inspect faulty water heater and diagnose the issue for you. If there is a need for repair, our plumbers will advise you accordingly. 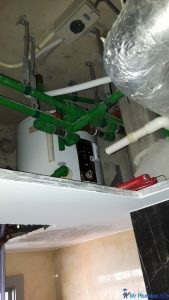 No matter the type of water heater that you have, our professional staff are experienced to provide quality plumbing service to you wherever in Singapore you need it. 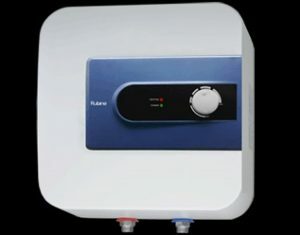 There are various kinds of water heater in the Singapore market, each with its unique appeal. While some may prefer storage heaters, others would rather go for instant heaters. It can be highly dependant on their place of residence and the benefits it can offer to the owners. As such, there are many brands available on the market to choose from, each with its own top selling water heater. It is important to keep the water heater well maintained so as to prevent problems. 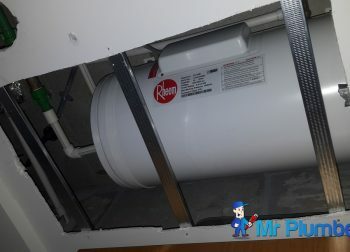 No matter what kind of water heater there is, Mr Plumber is always here to help with any water heater problems there is. 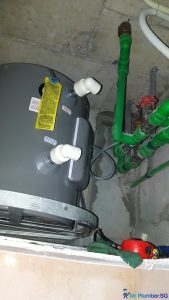 Why would I need water heater replacement or repair? Here are some of the common reasons why most people need water heater replacement or repair in Singapore. 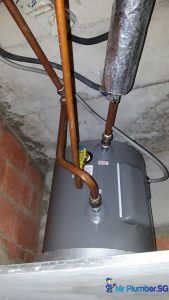 No hot water – If you notice that your water heater doesn’t have hot water after a long period of time or the water is lukewarm, you would need to get a plumber to repair it. Power trips when water heater is turned on. This could be as a result of electrical damage or circuit problems in the water heater. Water heater leaking – You should call a plumber to help you repair your water heater if you notice any leaks either from the water heater or the plumbing pipes leading to it. Odorous or discoloured water – This is another common sign that your water heater is in need of repairs or replacement. A water heater with problems can be a real inconvenience. When the problem doesn’t have a lasting solution, a replacement of the heater is then recommended. 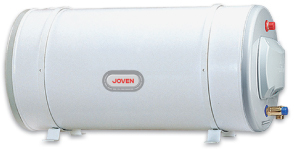 We specialize in the installation and repair of the most common brands of water heaters at great prices. 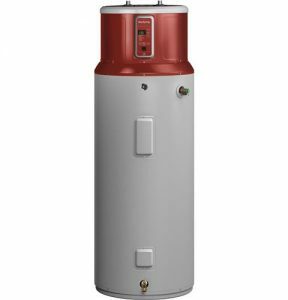 There are many types of water heater that you can use for your home heating needs when you consider upgrading your current model. 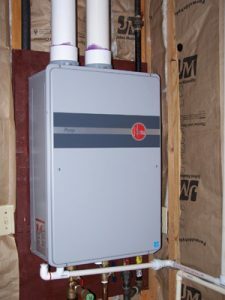 Newer water heaters consume less power and more ergonomic. 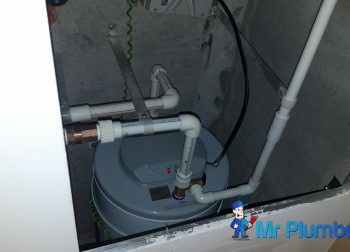 We at Mr. Plumber Singapore will assess your water heater situation and recommend the best possible solution for your water heater problems. If you wish to have a new water installation or upgrade, we will also help you choose the best water heater for your home. Our team will also provide quick, efficient and long-lasting water heater installation service no matter the type of water heater you have or wish to install. Call us today at +65 6653 6258 or email [email protected] to find out more about water heaters, water heater Singapore price or other queries you may have.